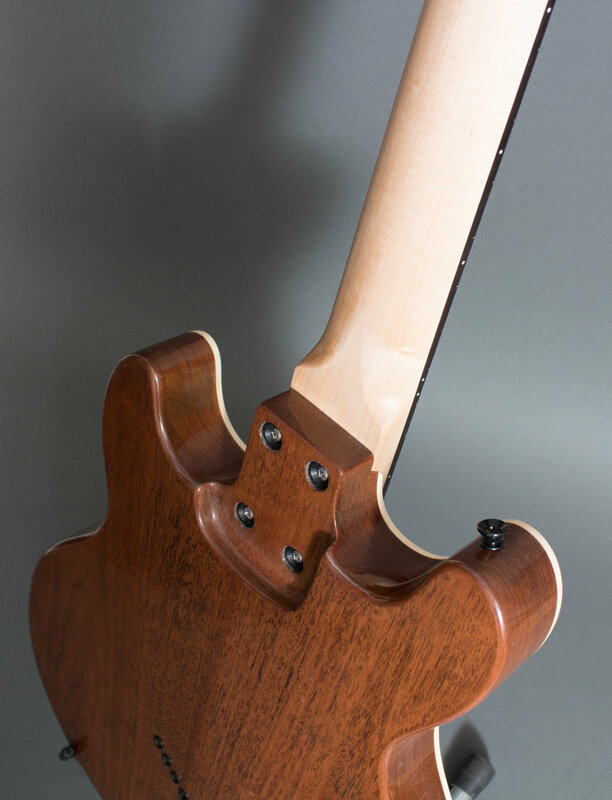 CH7-335 — Hybrid Guitars Co. 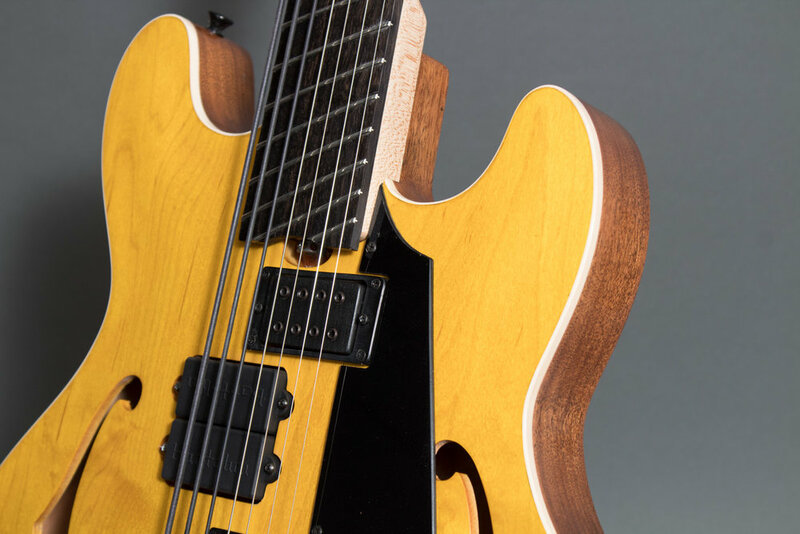 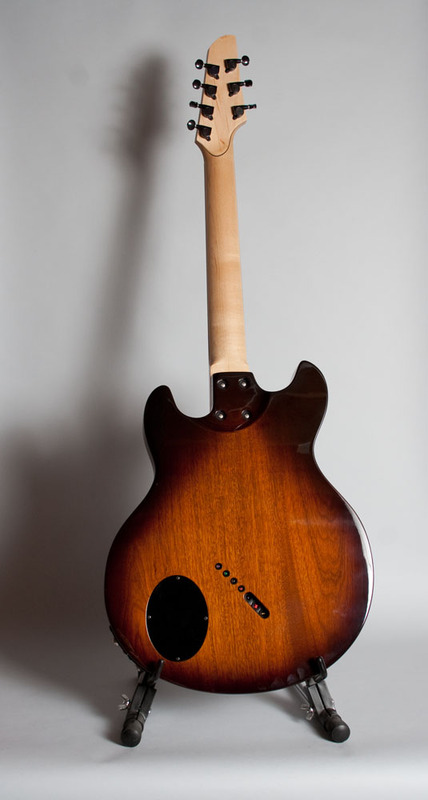 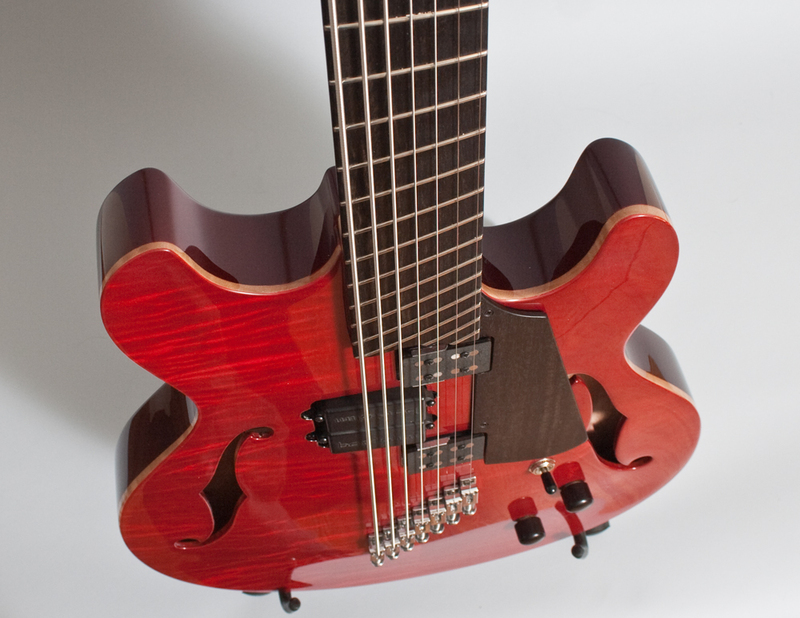 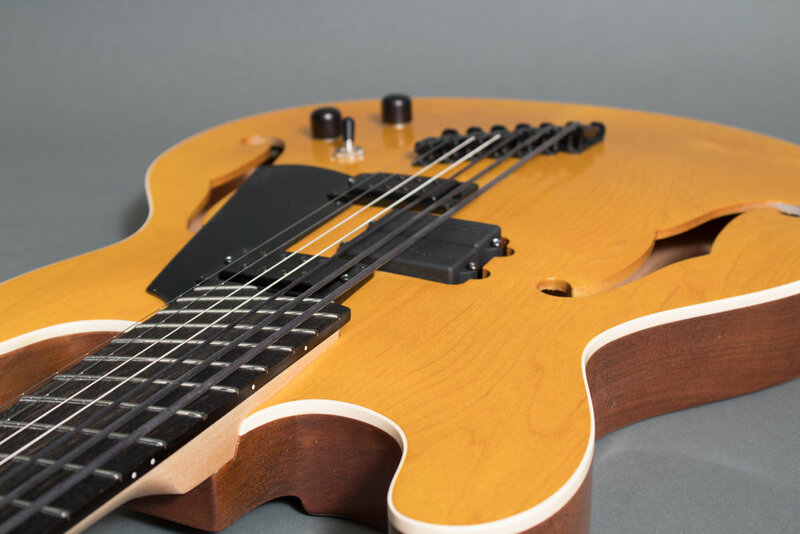 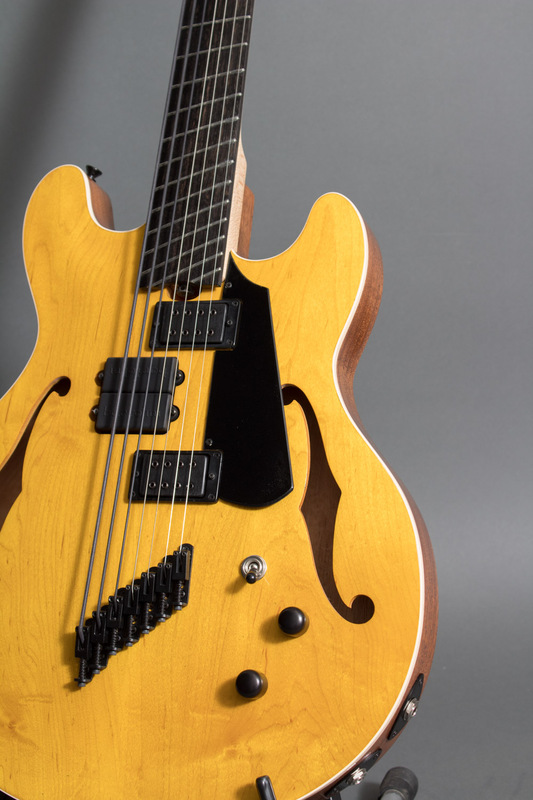 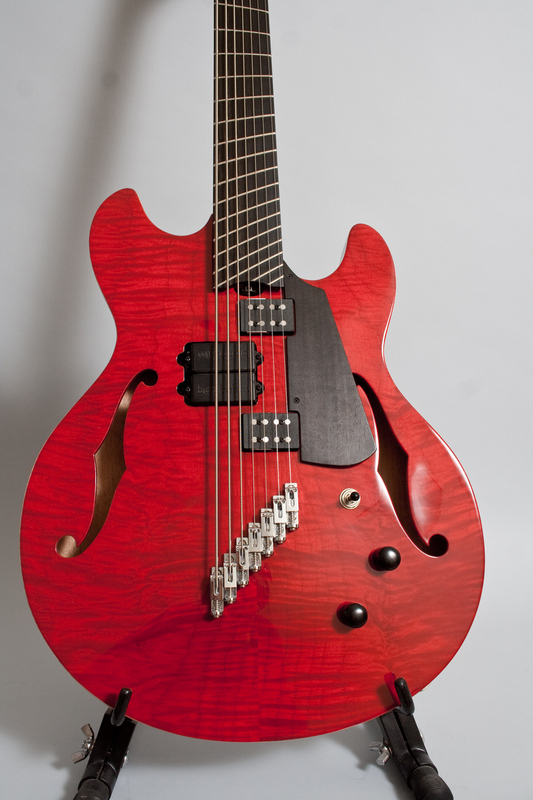 This 335 style guitar has all the rich warm tones you expect from a semi-hollow. 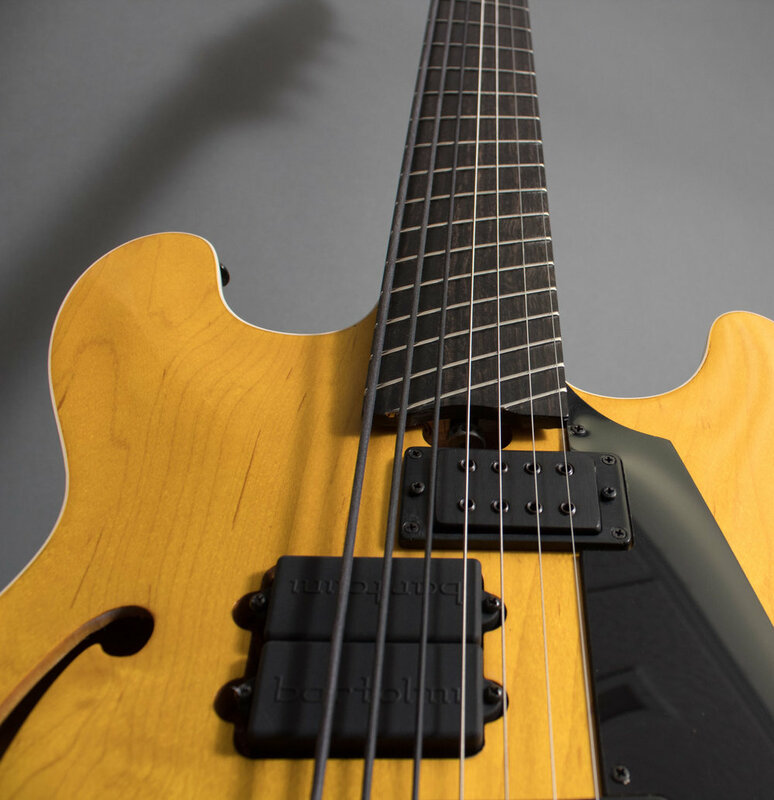 It has a strong acoustic resonance that shines through even when plugged in, while maintaining the feedback resistance of a solid body guitar. 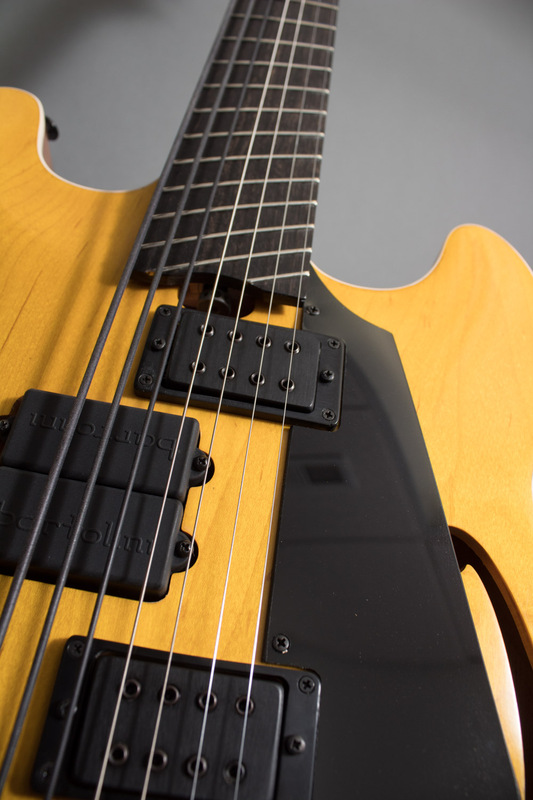 The bass is full and rich, with a thunderous and punchy boom. 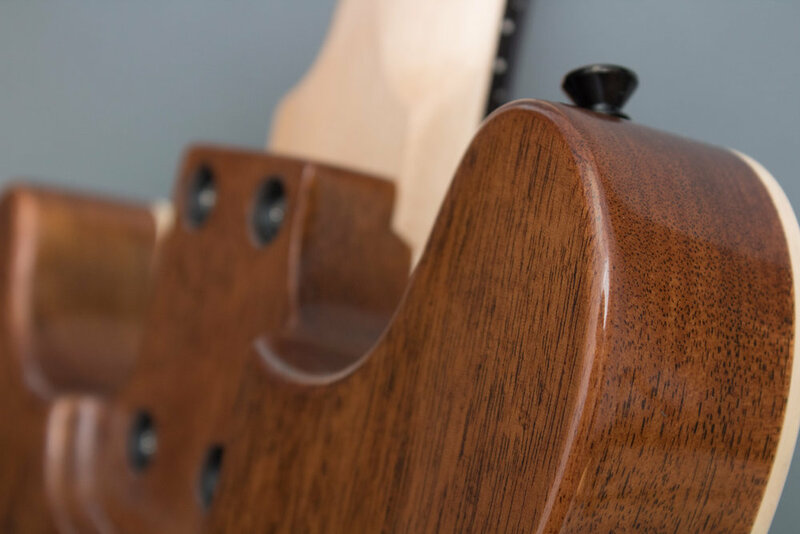 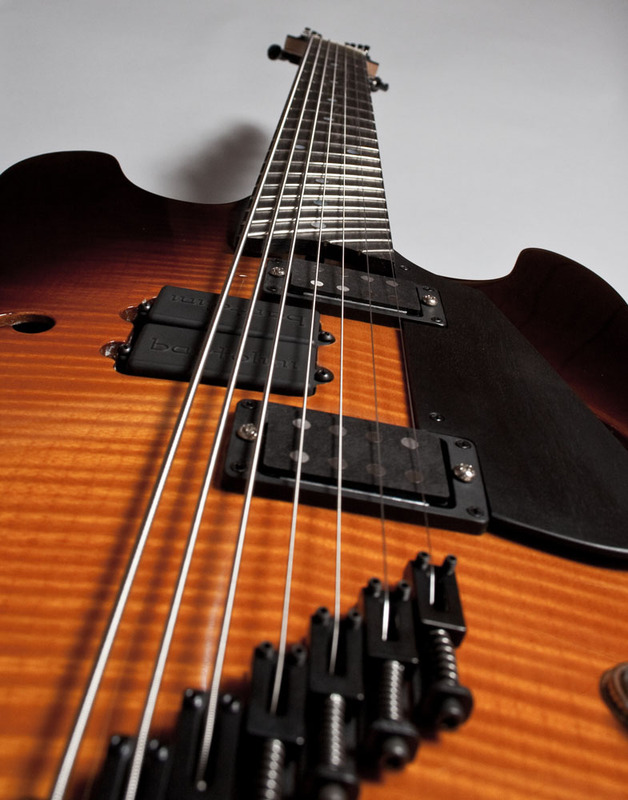 The guitar side has a harmonic richness that is well suited to driving distortion or warm jazzy tones. 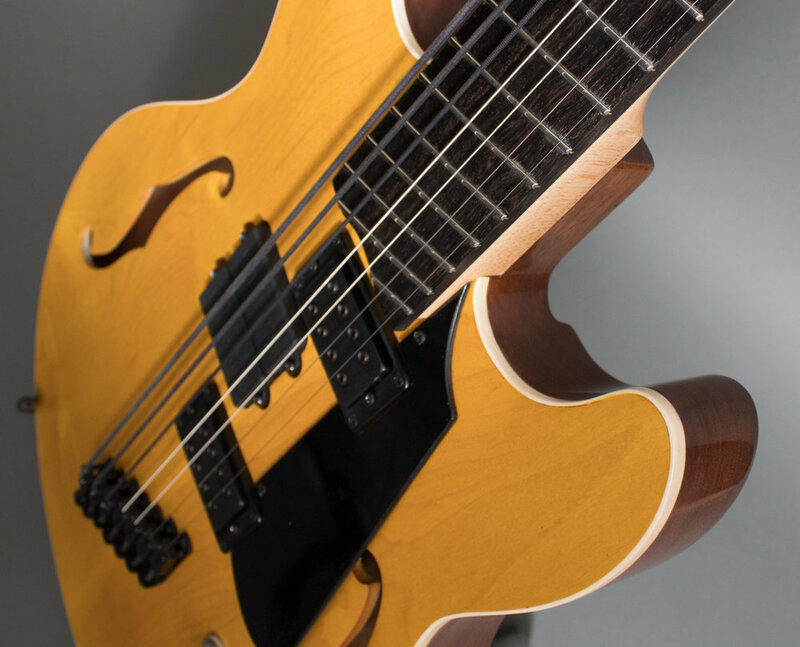 The broad tonal pallet makes this model very versatile.